Yeah I'm sort of disappointed. Part of it I guess is there were other potential possibilities for what the faction could be that I think would have been a lot more interesting (Infernals, Zu, etc.) and though I'm not an expert on the lore it sort of feels like the Grymkin are sort of more pulled out of nothing than I thought the new faction would be. They kept making hints about the faction being something which had been mentioned before and while I know the Grymkin have been around a long time in the game and the RPG I thought they were going to go for something more well known or more immediately relevant like the two factions I mentioned. I dunno it's not like it looks terrible I guess, it's just not what I was hoping for and I don't know if I like the theme in the setting. I would have been more excited about Infernals as well, but mechanically the Grymkin seem quite interesting. Gonna play against my buddy who wants to try them out this weekend, I hope. 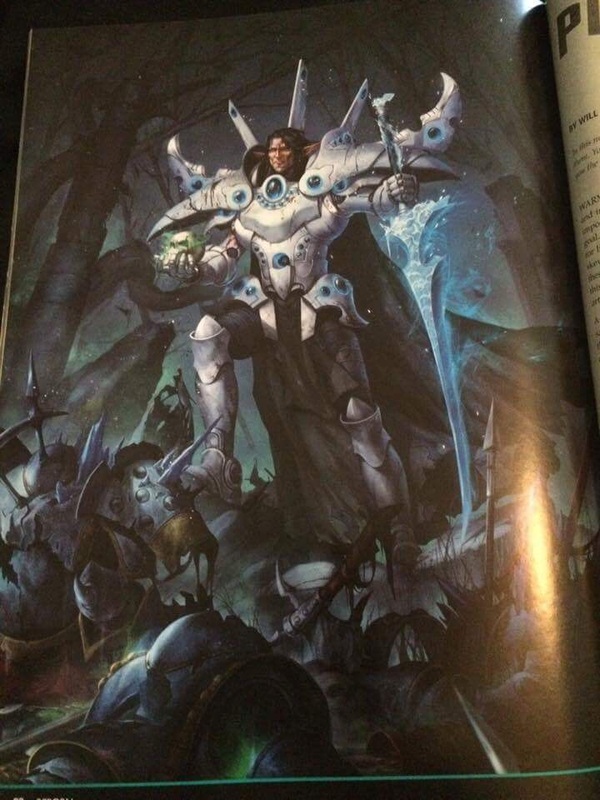 There are pictures of the Stormwall/Hurricane box in the wild, with a release date in April. Man, that's a weird faction. I get that it's kind've supposed to be all weird and disjointed visually, but... I just don't know if it all works. I need more footage and pics! Yeah, I think it's a Ret situation, where the models are fine but the official paint-job isn't doing it any favors. (White with more white and a side dish of white garnished with white? Really?)  A bit more washed-out and drab would probably work better. Yeah, I think a unifying color scheme would be key. Something that ties the huge gaggle of weirdoes together. I imagine it's meant to look like you're commanding the climax of Cabin in the Woods on the table. I'd also like to see some classic pointy-hat witches as units, with a WarmaHordes design flair to them. In other news, the new Legion of Everblight theme forces dropped, and....they are interesting. One of them doesn't limit warbeasts, but limits your unit selections to only those with Magic ability. In return, you get free solos or UAs for every 25 points of beasts, every turn you nominate a unit and it gets apparition [2"], and your units can start the game with upkeeps already cast on them for free. The other one, that I'm thinking of playing, limits you to Nephilim and lesser warbeasts, along with limiting units to Nyss units, but in exchange you also get free solos per 25 beast points, you get +1 to starting rolls, and your Nephilim warbeasts gain Unyielding. I think that second theme force can make Kryssa really shine, finally, and is getting me thinking about playing a sort of legion armor-skew list, like below. It won't be very killy outside of Kryssa's feat turn, but eh, it should be able to attrition and jam scenario pretty well, and help me get first turn. I wouldn't get too excited about that Nephilim theme, honestly. Nephilim are either underwhelming or support models, not the backbone of an army (also I'd definitely go Swordsmen over Legionnaires, def 14 weapon masters might actually make it into combat). The other theme looks quite good, though, and Hex Hunters are significantly more threatening when they can fit that UA in for either list. And to keep with the theme of faction-hopping lately, is fully alive again and is in Retribution warcaster armor. Lemme see if I can find it, I saw it linked in one of the WM Facebook groups. FEATURES: The warcaster once known as Goreshade was an eldritch, one of a strain of abominations who fed on the spiritual essence of others and consorted with the Nightmare Empire of Cryx. Now, Lord Ghyrrshyld has been restored by the goddess Scyrah and is filled with renewed purpose. While Ghyrrshyld does not speak of what happened to restore his body, he now fights against those who imperil Scyrah, and many speak of him as being filled with the goddess’ light. TRADE POINTS: The newest incarnation of the former Cryx warcaster Goreshade, Lord Ghyrrshyld has been returned to life by the goddess Scyrah to lead his people once more. One of the greatest masters of occult lore, Ghyrrshyld can shut down enemy magics with ease, thanks to Field Marshal [Arcane Vortex], and can return the dead to life with his Revive spell. Now a champion of the Iosan gods, Ghyrrshyld has mastered control of Nyssor’s magical blade Voass and is able to surround his army in intense cold, freezing any who dare close with them to do harm. ...Swordsmen without peer, House Ellowuyr Swordsmen pair great with offensive-focused warcasters like Lord Ghyrrshyld, the Forgiven (PIP 35087), Issyria, Sybil of Dawn (PIP 35058), and Thyron, Sword of Truth (PIP 35064). Cripes, June is going to be one hell of a Ret month. Which I guess makes sense, since there's going to be that three-month all-Grymkin blast of releases. Sure, his shoulder pads are big. But, we need to ask, are his shoulder pads big enough? When do the Grymkin release? July, at Lock & Load. They will be the releases for July, August, September. I'm liking the new Gator theme, if they finally get a Dracodile I may have finally settled on a Hordes faction. I have a ton of old pewter Cygnar / Trollbloods along with all the old books. Is any of this stuff worth anything anymore? I've been holding onto it to finish painting / assembly - but that's just not going to happen. I don't think a lot of people play around here. The books - no. The models, yes. They are still used today, even if they are old MK I minis. No Dracodile yet but they've been teasing that Gators have something with a huge base coming. The new Gator theme is in their CID process, there's a photo of the theme list here. Hold on...Goreshield is a "good guy" now? Good guy might be relative. I mean... he's still a genocidal elf wizard. He's just not an undead genocidal elf wizard with a dash of deicide for flavor anymore. Besides being bitter about him leaving my Cryx, I am mostly mad that he's no longer an Iron Maiden album cover. Had an amazing game against my buddy's Khador tonight. He ran Vlad2 with Conquest, manowar boat, winterguard with rockets and Joe, and some eliminators and support units. I ran Gaspy3 with Deathjack, Barathrum, Inflictor, Cankerworm, deathripper, satyxis + UA, and some support models. It was an epic slugfest that went down to caster vs caster in the control zone because I forgot about Vengeance and Vlad got to charge me. We both had a handful of infantry left and that's it, though Barry survived too. I've never had Cankerworm perform so well, though--he did about 30 or 40 damage to Conquest in total, with an armour piercing bite and then reposition away before being screened three turns in a row, and Barathrum managed to use Drag Below to move to safety at least three times. Together they actually managed to kill the damn colossal. Had a fun game as Grymkin v Ret. The ways that they had to play around triggering Arcana were very interesting. Played The Heretic against the really melee focused Ret guy in the cool armor. Rattlers can make a huge mess out of single wound infantry, especially with Rage, and the Corpse Cart was very useful passing out corpses to Skin and Moans/Cage Rager. We both enjoyed the game and I'm excited to play again. We did a game vs Heretic as well. The army in general and Heretic specifically can really make a mess of your spell economy, and spell assassination and debuffs are very muzzled. I felt very off balance as Cryx from the start. However, Grymkin have almost no shooting, and certainly no high-power shooting. I think only the Frightmare has a boostable gun, the only one in the whole faction. Their cheap infantry is fantastic and the theme + death knell gives them tons of corpses, but they have almost no way to clear out jamming infantry at all. Those are both huge weaknesses, and as a result I was able to force a bunch of bad trades and make him gamble the Heretic to kill my last heavy, which got him killed. I don't see them faring well against concentrated shooting or high-def jamming infantry. Rattlers are very good and might help with the second, but that's nowhere near as good as Black Penny guns or boostable guns or, best of all, easily available sprays. I played against that Vlad 2 list at a tournament over the weekend. With Stryker 2. It ended with Stryker solo'ing the Conquest for the win. Everyone must kind of feel a twinge of regret about bringing a colossal when they see Stryker 2. And also Butcher3, Rhyas2, etc, but mostly Stryker2. Oh sweet, they announced what's coming up in the next playtest cycles. The big one's going to be the big battle engine revamp coming late April. tl;dr version is that they're working on revamping them all so they all have a place on the battlefield. Fixing up durability of them by giving almost all of them 30-38 boxes of health, and giving them additional army synergy so they do more than just kill mans. They showed a few of the changes coming to them. Unhallowed - While in this model’s command range, friendly Faction undead models gain +2 ARM against ranged and magical attacks and do not suffer blast damage. Power of the Stones - During your Control Phase, this model can leech fury from friendly Faction construct warbeasts. Veteran Leader [Blackclad] - While in this model’s command range, other friendly Blackclad models gain +1 to attack rolls. that Wraith Engine change sounds amazing. New themes and models are up on War Room for Khador and Cryx. Khador's new caster looks absolutely fantastic, solo looks quite useful (empower is always great). Cryx's new caster looks confused, focus-starved and underwhelming; new jack is kind of disappointing in that it's really expensive and doesn't do anything particularly well; new solo is fantastic and very scary; new theme is very interesting and supports a much more classic Cryx playstyle. 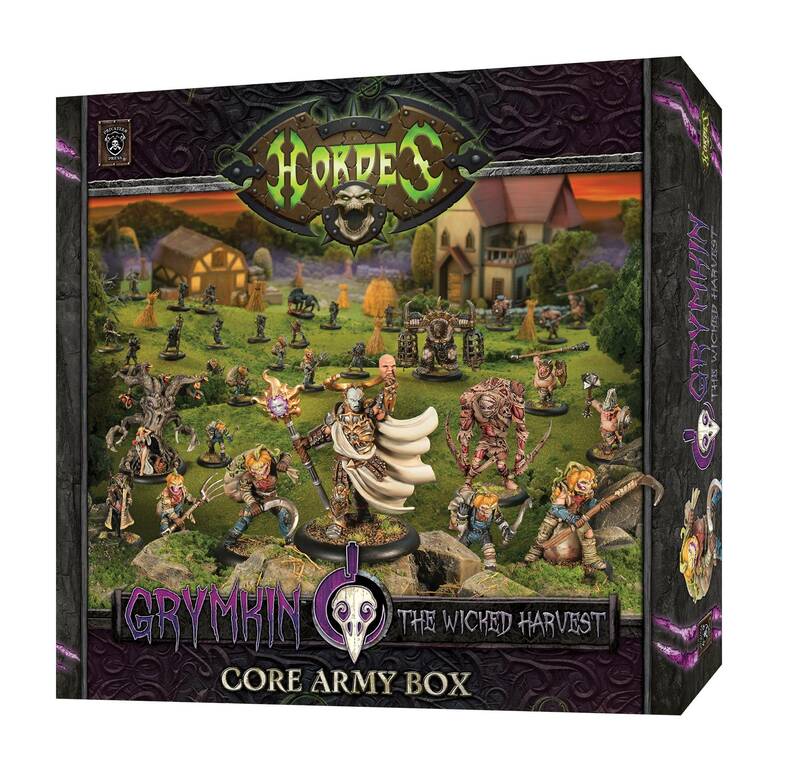 I actually somehow missed that there *is* a Grymkin 50-point army box coming out in July. Is it just me or is the grymkin kinda like the nightmare before christmas faction. Could be fun if painted right but just seems kinda oddball. I really like that warlock model. Not really sold on the overall faction aesthetics. their warbeasts are dumb, most of their solos and the other units are dumb.....although they do have a character solo who is a spider with guns wearing human clothes! And yeah, the Battle Engine files for CID week 1 just went up on the playtest forums. EDIT: yeeeeeeeees, some new abilities on the Meat Thresher. Exhaust Fumes - When this model advances during its Normal Movement, for one round while within 3" of this model other friendly Faction models gain concealment. Turn Up The Heat - This model can use Turn Up the Heat at the start of its activation. This activation, this model gains +2 SPD. The gun also gets +1 attack/damage on medium-based models now, and +2 attack/damage on large & huge models.